We at Bluebelt happily announce another of our giveaway event, the Bluebelt’s Next Top Token voting polls! We will conduct a series of community polls to determine the next tokens that we will list on Bluebelt Exchange. Tokens are cryptocurrencies that have no blockchain of their own. Most tokens use the Ethereum blockchain, which has its own native cryptocurrency called Ether (ETH). Other tokens use NEO, Waves, and other blockchains. If you are an avid holder of any token included in our list of candidates for voting, you now have the chance to be paid for your support with BBXC tokens, the native token of Bluebelt Exchange that can be used to get trading fee discounts and others. If you refer more voters, 1 BBXC for every voting referral. 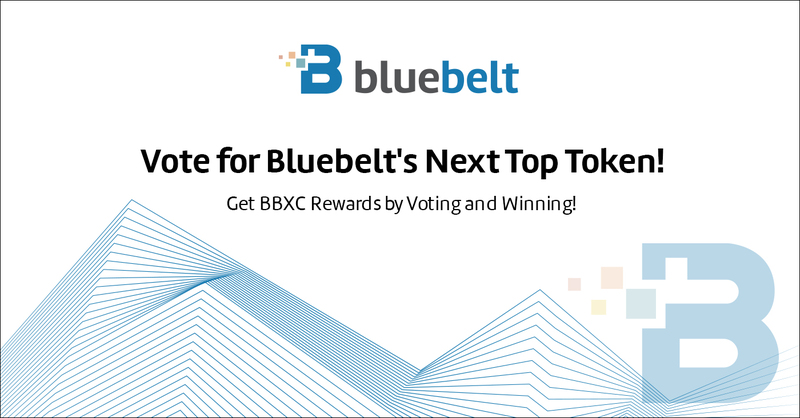 The first poll of Bluebelt’s Next Top Token voting event will start on December 10, 2018 12:00 PM GMT+9 and end on December 15, 2018 12:00 PM GMT+9. Click HERE to vote for Bluebelt’s Next Top Token!